ü Soil can be defined as an unconsolidated layer formed from litho logically varying rocks by weathering agencies which is then modified by many organic and biochemical processes. ü The colour of soils depends upon factors such as their age, composition and the amount of water available to them and utilized by them. The Indian Council of Agricultural Research (ICAR) has divided Indian soils into eight major types. ü Alkaline and Saline soils. ü Peaty and organic soils. ü Red Soils are mainly formed due to decomposition of ancient crystalline rocks like granites and gneisses and from rock types rich in minerals such as iron and magnesium. ü The term ‘red soil’ is due to the wide diffusion of iron oxides through the materials of the soil. 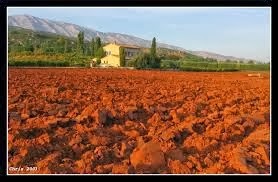 ü The Red soils are generally poor in nitrogen, phosphorous, humus. ü The Red soils are rich in potash. ü They are siliceous or aluminous in character. ü The Red soils cover almost the whole of Tamil Nadu, Karnataka, Andhra Pradesh, South Eastern Maharashtra, eastern parts of Madhya Pradesh, Parts of Orissa, Jharkhand and Bundelkhand. 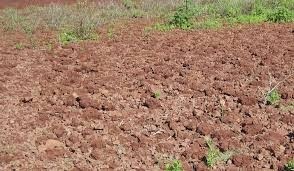 ü The Red soils are most suitable for growing vegetables, rice, ragi and tobacco. ü Irrigation is a must for the red soils. ü The black soil is also called regur. ü These soils are derived from basalts of Deccan Traps. ü They derive their name from black colour. ü The black colour is due to the presence of Titanium. 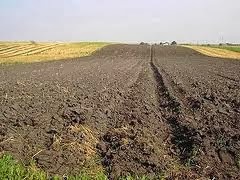 ü Black soils are fine, grained and highly argillaceous and consist of calcium and magnesium carbonates. ü Black soils contain high quantities of iron, aluminum, lime and magnesia. ü These soils generally show poor percentages of phosphorous, nitrogen and organic matter. ü These are essentially transformed soils. ü They form the most important and largest of all the soil groups. ü The alluvium is of two types. ü The khadar is light in colour. ü The khadar is more siliceous in composition and composed of newer deposits. ü The bhangar or the old alluvium is composed of lime nodules (kankar) and has a clayey composition. ü Alluvial soils are found throughout the plains of northern India. ü In the Indian Peninsula, they are confined mainly to the river deltas on the east coast, the lower valleys of the Narmada and the Tapti, northern Gujarat and Chhattisgarh plains. ü The soils are suitable for the cultivation of cereals, pulses, oilseeds, cotton, sugarcane and vegetable. ü Alluvial soils favor jute cultivation in the eastern parts of the Indian plains. ü These soils possess a compact to vesicular mass. ü These are mainly composed of hydrated oxides of iron and aluminium. ü Laterisation is due to the loss of silica from the soil profile in humid regions where the process of leaching is widespread. ü Lateritic soils are deficient in nitrogen. ü The humus is absent except in the late rite soils developed in the forested areas such as western Karnataka. ü The forest soils are mostly found in forests and mountains. ü These soils have a high content of organic matter and nitrogen. ü Forest soils are deficient in potash, phosphorus and lime. ü Tea, coffee, tropical fruits and spices are obtained from plantations on these soils especially in South India. ü In some states the crops like Wheat, maize, barely are cultivated. ü Alluvial soils (riverine alluvium, coastal alluvium, deltaic alluvium, saline and alkali soils and calcareous alluvial soils) - 23.40 per cent. ü Black soils (deep black, medium black and shallow black soils, and mixed red and black soils) –– 24.12 per cent. ü Red soils (red loamy soils, red gravelly sandy soils, and red yellow loamy soils) – 29.08 per cent. 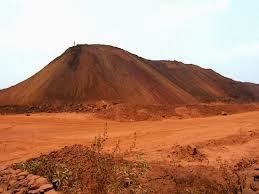 ü Laterite soils –– 4.30 per cent. ü Other soil groups (hill soils, sub - montane or podosolic soils, mountain meadow soils, terai soils, and skeletal soils) – 10.64 per cent. Red -Wheat, rice, cotton, sugarcane, pulses. Desert - Wheat, grams, melon, bajra (with irrigation). Laterite -Coffee, rubber, cashewnut, tapioca.